Whether you’re a student preparing a class assignment or a rising executive trying to impress your CEO, you’ll have to go beyond the basics if you want your computer-based slideshows to stand out. 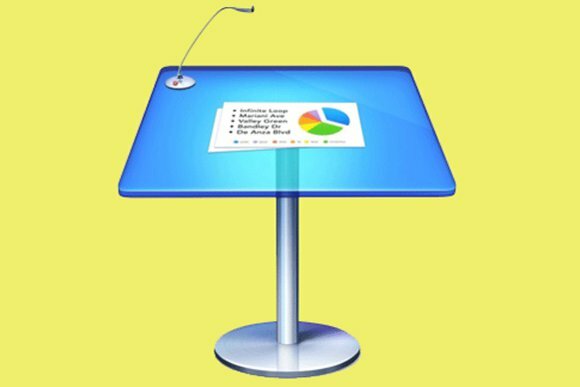 While teaching people how to use presentation software over the years, I’ve identified nine techniques that I think everyone should have in their arsenal—but which even some experienced presenters often seem to miss. Here’s how those techniques work in Microsoft PowerPoint for Mac 2011, Apple’s Keynote 6.2, and Google Docs. You’re on your way to the conference room when you suddenly realize that you used your company’s old logo throughout your 120-slide presentation. If you were using slide masters, you’d be just a few clicks away from fixing them all. Think of masters as templates that apply to as many slides as you like. Any changes you make to a master slide—backgrounds, graphics, text, and more—are inherited by all the slides that are based on that master. Using master slides makes it easier to edit multiple slides at once. In Google Docs and PowerPoint, masters define the look for the slide’s background and graphics, as well as for placeholders such as titles and body text; layouts specify the position of those elements on the slide. PowerPoint lets you define as many masters as you wish, each with its own set of layouts, while Google only allows one master for each presentation. Keynote takes a slightly different tack: masters and layouts are one and the same. To view and edit the master slide in Google, go to View > Master. In PowerPoint, use View > Master > Slide Master, and in Keynote, View > Edit Master Slides. To apply a master layout to new or existing slides in Google or PowerPoint, click the Layout button (it’s in the Home tab in PowerPoint) and choose a layout. To do the same in Keynote, select a master in the Slide Layout pane in the Format Inspector. Used judiciously, build animations are an effective way to draw your audience’s attention to text and other elements on the slide. But some effects change only the appearance of objects, not their position; even builds that incorporate action—flying into or out of the frame, for example—give you only partial control by letting you adjust only the speed and direction of movement. Keynote and PowerPoint (but not Google) also support a powerful technique called path animation, which lets you precisely specify the trail that a moving object will follow on the slide. In Keynote, select the object you want to move, click Animate in the toolbar to open the Animate Inspector. Next, click Add an Effect in the Action tab, and choose Move. Keynote draws a red line to show the path and displays a ghosted duplicate of the object in its final position, which you can change by clicking and dragging it. Path animation allows you to precisely define the path an object will follow when it moves in your presentation. You can also define the path by drawing it directly on the slide. Click Shape, choose Draw With Pen, and draw the complete path. Next, select the object and the path shape, and choose Format > Shapes and Lines > Make Motion Path from Shape. Click the shape to make the object, which makes it follow the route that you just drew. To apply the same effect in PowerPoint, select the object that you want to animate and click Motion Paths in the Animations ribbon to display the motion palette. PowerPoint offers three types of animation—basic, simple, and complex—and it also lets you change the motion path after you’ve drawn it. In Keynote, you have to start over again if you edit the path. Digital pictures are an essential part of almost any slideshow. Importing photographs with any of the presentation apps is as easy as dragging and dropping. But what if the picture is faded or has a background that detracts from the subject? If you’re using Google Docs, you have to edit the shot before you add it, since Google lets you alter only the size of imported images. Both PowerPoint and Keynote offer far more options than just size changes, providing controls to crop and mask images, as well as to fiddle with exposure, contrast, color, sharpness, and other settings. While neither application can compete with Photoshop or iPhoto, they’re handy when you’re in a hurry or don’t have image-processing software available. In PowerPoint, select the image you want to edit to display the Format Picture ribbon tab, and choose a tool from the Adjust toolbar. In Keynote, select the image and click Format. You’ll find adjustment tools under the Image tab. A feature I rely on frequently lets you render background elements transparent so that only the objects that you want to appear on a slide actually do so. PowerPoint’s Remove Background tool, in which you drag to indicate which parts of the image you want to keep or remove, is better for images with complex backgrounds. Keynote’s Instant Alpha feature also works by dragging, but it’s best suited for pictures with uniform backgrounds. Music might be out of place in a scientific presentation, but it can enhance slideshows that are filled with images whose content doesn’t require explanation. Adding music to your presentation can be a good way to spice up those with self-explanatory content. To add a soundtrack in Keynote, go to the Audio tab in the Document Inspector, click the musical-note icon at the bottom right to display your iTunes library, and choose your tracks, one at a time. You can play the entire soundtrack just once or loop it, but you can’t adjust its length. Alternatively, by clicking Media, you can select an audio file to play on the current slide and optionally trim its start and end points in the Format Inspector’s Audio tab.